Valve is keeping us all guessing with its tri-part Steam reveals this week, and one of the mysteries to come out of the announcements so far is just who Valve is partnering with on SteamOS and Steam Machines. Thankfully, Nvidia decided to take away some of the uncertainty, outting itself as partner in the SteamOS process. Nvidia's Mike Smith outlined the chipmaker's collaborative contributions in a blog post today, writing company engineers were embedded at Valve while SteamOS work went on. Those entrenched engineers worked to improve driver performance for OpenGL, optimized performance on Nvidia's own GPUs, helped port Valve's content library to SteamOS and tuned SteamOS to lower input latency, Smith explained. Why would Nvidia stick out its resources for Valve? Apparently it too strongly believes in open-platform gaming. 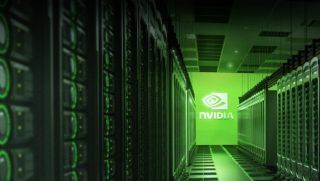 Without naming it specifically, Nvidia appears committed to supporting Linux, the open-source platform on which SteamOS is based. "The collaboration makes sense as both companies strongly believe in the importance of open-platform innovation, and both companies are committed to providing gamers with a cutting-edge visual experience," Smith wrote. We still don't know what SteamOS looks like, what its features are or how it works, though Valve has promised to reveal more details soon. Smith, meanwhile, gave a little notion of what we're in for: "SteamOS is an elegant way to get your PC games into your living room and onto your biggest screen." There are more questions than answers, but with Nvidia on board, we can take a little assurance that Valve isn't just blowing smoke about SteamOS. OK, but what the heck is SteamOS? Allow us to explain.